A confidential freephone helpline open from Wednesday to Sunday from 8pm to midnight providing a safe place to talk if you, or someone you know, is in distress. We can also give information about mental health support services available in your area that could help you. Bristol MindLine is here to support residents of Bristol and surrounding area. 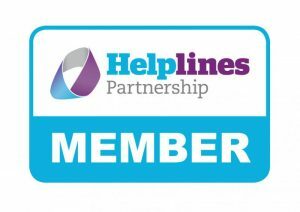 If you live outside this area you can get information on support services closer to you from the Helplines Partnership or the National Mind InfoLine on 0300 123 3393 (Mon to Fri, 9.00am – 6.00pm). For more detailed information see the MindLine leaflet (pdf). The six big mobile providers (T-Mobile, Orange, O2, Vodafone, Virgin Mobile and Three) have agreed to make calls to 0808 80 numbers free. However, you may need credit on pay-as-you-go phones in order to get connected with the MindLine. We suggest you to confirm this with your mobile company. Feedback wanted – have you used MindLine? You only need to complete the MindLine survey once. It will probably take about 5 minutes. Thank you. All our listeners are volunteers. Find out more about volunteering on our volunteering page. Download our MindLine Trans+ or MindLine flyers and stick it up in your local library, pub, GP, public notice board… anything you can do to help promote the MindLine will only help to get the word out to more people who may need that extra space to talk and the emotional support the helpline can bring. We are funded by Bristol CCG and Bristol City Council.